Luxury Unit at the City Residence, Millennium Tower. 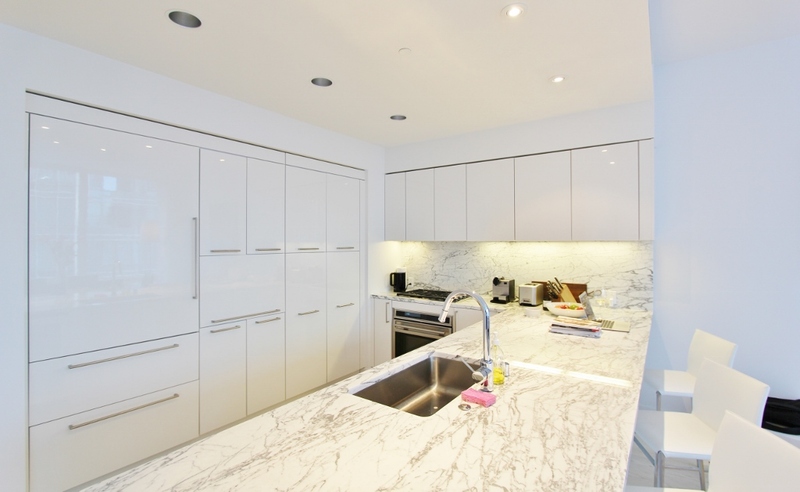 A masterpiece of modern living in the heart of the Financial District. This spacious 1,633 square foot condominium is complete with one beautiful bedroom and one elegantly appointed oversized bathroom. This exceptional home features a glamorous open floor plan with luxurious finishes. State-of-the-art kitchen and bathrooms; natural beech thick solid plank hardwood floors throughout the foyer, kitchen, dining & living room; floor-to-ceiling windows that look out onto the future of the Transbay Terminal roof top park and city views. Glenn Rescalvo, control architect of Handel Architects, broke the glass skin from the tower into 10 faceted panels, thus allowing the appearance of the façade to change depending on where you are standing. It was the vision of the highly successful developers (Millennium Partners from Manhattan) to create a residence with hotel amenities. When one becomes an owner at Millennium Tower, he or she gains usage of an amenity complex that is 2nd to none. There are approximately 20K square feet of amenities provided by this complex that feature an private club level with bar, lounge area and restaurant food, outdoor terrace, indoor pool, wine tasting room and the fitness center, its own restaurant, which is on the building’s first floor, there’s not any need of leaving your home. The units have superior security, doormen, porters and concierge are all at your beckon call. There is even room service available. The Millennium Tower units are highly desirable and the building amenities are unmatched by any other building in the city. The area around the Millennium Towers is quickly developing into the center of San Francisco. Sales Force headquarters will be located across the Transbay Plaza in the tallest building west in the Western United States. The Transbay Terminal (adjacent to Millennium Tower) will be the Northern Terminus to the California High Speed Train to Southern California. The roof of the terminal will be a 4.5 acre park with running trails, an amphitheater and other recreational activities. To learn more about this building visit the Millennium Tower San Francisco. This unit represents an opportunity to live as only a few can or to enjoy superior rental returns. It will be in the heart of the new multi-billion dollar redevelopment of the Transbay Terminal. The Transbay Transit Center Project is a visionary transportation and housing project that transforms downtown San Francisco and the San Francisco Bay Area’s regional transportation system by creating a “Grand Central Station of the West” in the heart of a new transit-friendly neighborhood. The approximately $4.5 billion project will replace the former Transbay Terminal at First and Mission streets in San Francisco with a modern regional transit hub connecting eight Bay Area counties and the State of California through 11 transit systems: AC Transit, BART, Caltrain, Golden Gate Transit, Greyhound, Muni, SamTrans, WestCAT Lynx, Amtrak, Paratransit and future High Speed Rail from San Francisco to Los Angeles/Anaheim.